My local Trader Joe's recently started stocking frozen bananas, which are essentially the filipino equivalent of a plantain. I was so excited to see them that I of course bought a bag and wanted to use them right away! I whipped together this super quick and easy 'cuban bowl', which essentially made itself while I walked the dog! Save for the rice, there is no exact science happening here so feel free to get creative and customize your seasoning! This recipe calls for no oil, and could very easily be made SOS free by eliminating the salt. Give it a whirl and let me know what combos you make! I think this is something I'll be making different varieties of pretty often now. If using the frozen Saba bananas, thaw either in the fridge overnight or the counter for an hour. Cook rice according to package instructions. I used my new favorite Texmati rice cooked in the Instant Pot! On a baking sheet lined with parchment paper, gentle "mash" the banana flat using a fork (if using plantains, cut into quarters first). After mashing, sprinkle with spices. Roast in the oven for 25 minutes. In a small skillet over medium heat, add rinses black beans, and sprinkle with desired spices. Gently toss and allow to warm through (5 to 10 minutes, depending on how crispy you want them). In a small bowl mash (more mashing!) 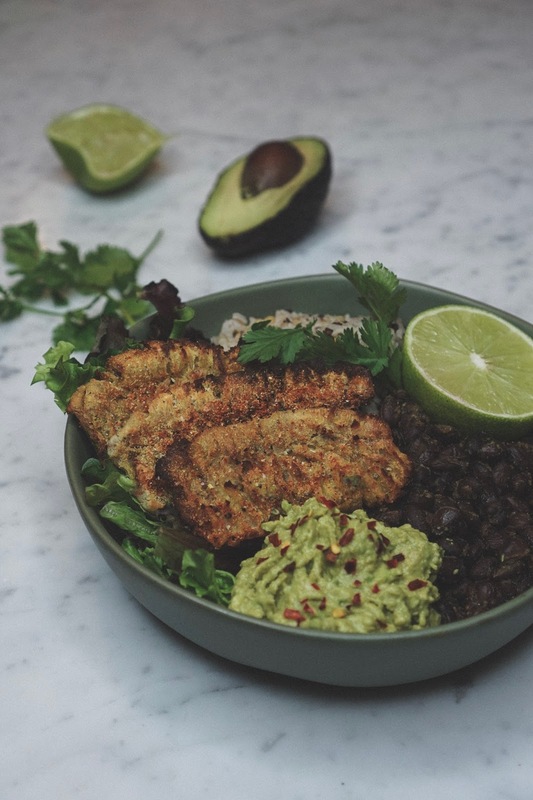 the avocado flesh, nutritional yeast and lime juice together. I also added red pepper flakes for kick! 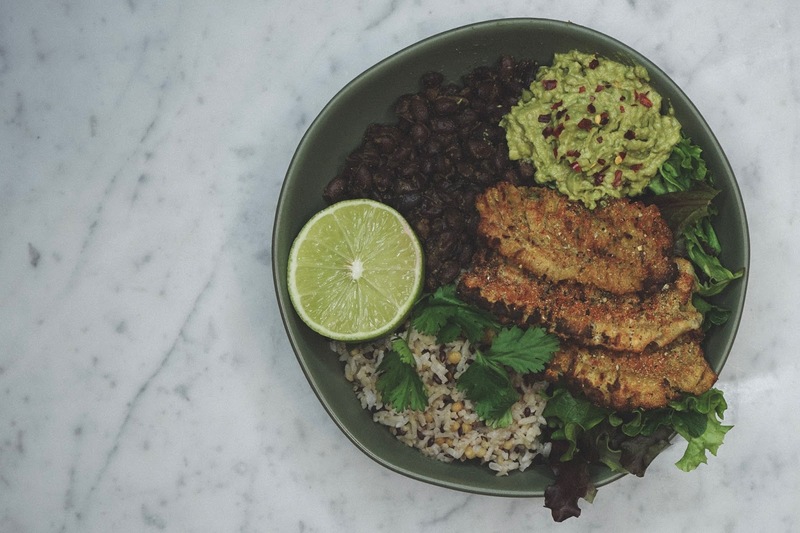 To serve, top fresh greens with half the rice, black beans, roasted plantains, and avocado sauce. Top with fresh cilantro and additional lime juice if desired!